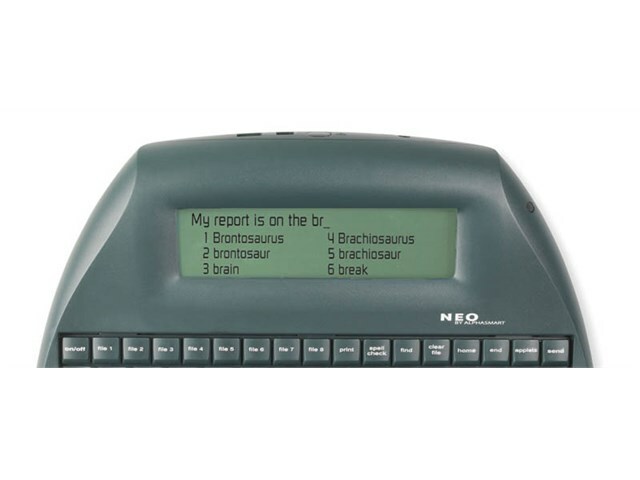 Add the power of word prediction to the Neo. Co:Writer’s high quality word prediction lets struggling writers construct complete, correctly spelt, grammatically correct sentences. Price(s) below (ex VAT) have been reduced by 50% off the UK RRP. Its Topic Dictionaries help students use appropriate words when writing in specific curriculum subjects. The new version takes advantage of the Text2Speech unit so that users can listen to Co:Writer’s predictions. Reduces keystrokes by up to 80% for students with motor difficulties. Helps students with learning difficulties produce grammatically correct sentences. 6,000 root word main dictionary. 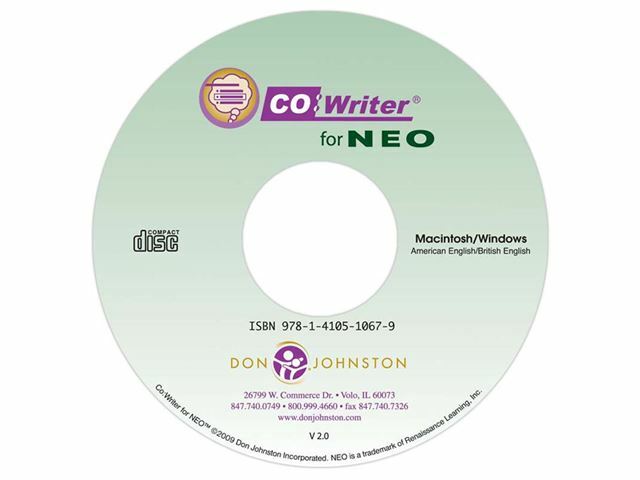 Install up to 5 Topic Dictionaries on the Neo at one time from over 200 supplied. Download additional Topic Dictionaries free from the Internet or create them from any text or website in seconds using Co:Writer.